Michael Zuraw, artistic director of Aperio. Aperio performs The Change Trilogy by Judd Greenstein. 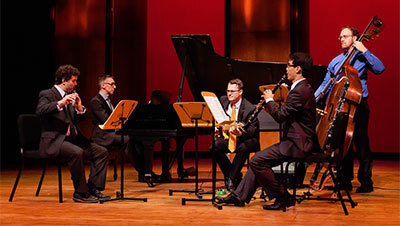 Sergio Palliottelli, flute; Michael Zuraw, piano; Hunter Cappiccioni, bass; Sean Krissman, clarinet; George Heathco, electric guitar. Photo by Lynn Lane. 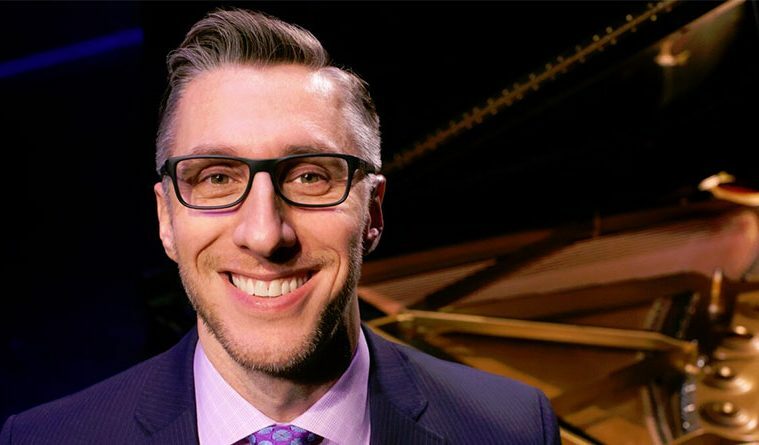 As artistic director of Aperio:Music of the Americas Michael Zuraw has sifted through hundreds of musical works representing the composers and cultures of the Americas. He has traveled to South America searching for hard-to find scores by under-appreciated creators. Even after a decade of this, his motivation and material are far from running out. This season, Aperio celebrates 10 years of showcasing the music of the Americas. For Zuraw and his fellow musicians, the zest, power and expressiveness of the works they perform are only part of the appeal, he says. They enjoy being musical explorers, discovering how New World composers declared their independence from Old World models; how musicians trained in classical styles soaked up the flavors of the folk and popular music around them; how North and South America have influenced one another; and how the continents’ music keeps flowering into the 21st century. Ana Maria Martinez performs with Aperio on February 2, 2016. Photo courtesy of the artist. Each of this season’s concerts will show that in a different light. Nov. 8, Aperio will spotlight how the Victorian age’s culture and poetry helped U.S. music finds its voice. Acclaimed soprano Ana Maria Martinez will headline the group’s 10th-anniversary concert Feb. 2, with a program including arias from operetta’s Spanish-language cousin, the zarzuela. Feb. 11, Rice University’s Rolston String Quartet will pair a European classic, Franz Schubert’s Death and the Maiden, with a U.S. work that quotes it, George Crumb’s Black Angels. 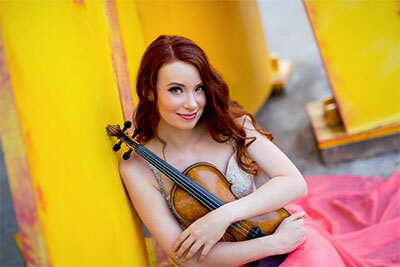 A Latin American program May 1 will range from icons Alberto Ginastera and Astor Piazzolla to today’s Gabriela Lena Frank, a Rice graduate whose music is performed across the United States. Aperio grew from a fundraising concert Zuraw produced for Casa Argentina de Houston, a group that promotes Argentina’s culture and business. The struggle it took to find a score by Carlos Guastavino, a leader of Argentina’s 20th-century musical scene, opened Zuraw’s eyes to a challenge facing South American music: Many composers have relied on self-publishing and the musical grapevine to disseminate their works, and after their deaths, no one may take over. 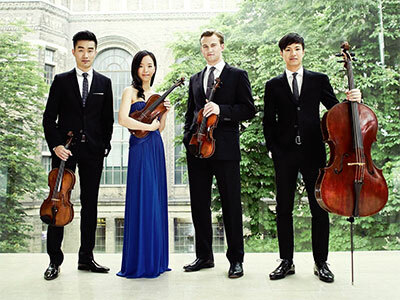 The Rolston String Quartet performs with Aperio on February 11, 2016. Photo courtesy of Aperio. Throughout his school years, Zuraw had enjoyed playing new music, he says. That had helped attune him to the North American side of Aperio’s mission. But the Latin American side took him into new territory. “As I’ve played this music for Aperio, I’ve had so many discoveries — composers I had never even heard of,” Zuraw says. Chloé Trevor Performs with Aperio on May 1, 2016. Photo by Kate Lemmon. 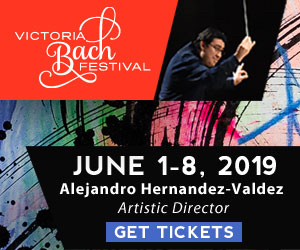 Aperio will flesh out the Brazilian scene May 1 through a cello-and-guitar sonata by Radames Gnattali, a Brazilian who bridged classical and popular styles in a career spanning much of the 20th century. The same concert will offer a modern perspective on South America’s past via Frank’s Sueños de Chambi. The violin-and-piano suite evokes seven photographs by Martín Chambi, an Amerindian who was among the first artists to document the world of South America’s indigenous people. 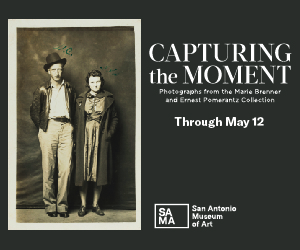 During a recent Houston visit with the Sphinx Virtuosi, an ensemble of black and Latino musicians, Frank recalled her first reaction to Chambi’s photographs of rural and city life of the 1920s and ‘30s. Frank, a Peruvian-American, immediately heard music in them.